Are your summer container gardens in need of a fall makeover? Good news! There are many fall-flavored plants that will provide you with texture, form, and long-lasting colors in both flowers and foliage. I love the combination of purple or blue asters (Symphyotrichum) with ornamental kale as the colors play off each other nicely for a long-lasting fall container. Using other lesser-known plants, such as some of the fall-blooming Salvias or sage can add height and lend to very interesting combinations in your container gardens. Try using cold-hardy vegetables and adding herbs to create interest and texture to any combination. I like using Swiss chard, broccoli, Asian greens, parsley, and onions (Allium) for interesting and colorful effects. To achieve a fuller effect, use more plants than you would in the spring or summer. As the days begin to get shorter and the nights get cooler, plant growth is slowing down or ceasing. By planting a fuller container, you will see immediate results that can last for the remainder of the fall season. Try to plant by early September to give your plants a chance to kick in with some growth before the cooler temperatures and shorter days slow things down. Remember, many plants available for fall container gardens can take temperatures in the 20s Fahrenheit without being damaged, while many plants actually begin to show better foliage colors with cooler temperatures. These include ornamental kale and cabbage, Heuchera, and many ornamental grasses as well. Select plants that have a variety of tones that contrast and set off each other. Think about using colorful cultivars of Heuchera for their many foliage colors, and colorful grasses or grass-like plants, such as Pennisetum, Carex, Juncus, or the black foliage of Ophiopogon. See the list below of other fall plants to consider for your containers. Remember, a pot of mums looks fresh for three to four weeks at most, and then the show is over. Showy foliage from grasses or kale and cabbage will carry the display much longer. The fall foliage on evergreen succulents (Sempervivum ‘Hens and chicks’), and many of the stonecrop (Sedum) cultivars changes and develops more dramatic color once the temperatures stay cool. If you must have flower power, consider long- and late-blooming Salvia, Cuphea, or fall pansies or violas. 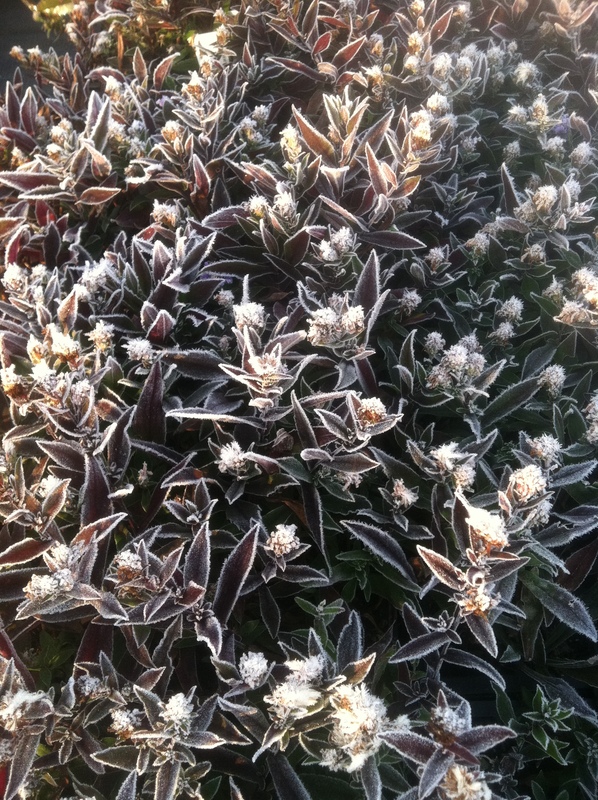 When nighttime temperatures drop below freezing, have light blankets, large pots, or even an empty trash barrel handy to cover your container and protect the plantings from frost. As November passes, the time will come to disassemble your planter. Carefully place your hardy plants in a nursery bed or empty space in your vegetable garden plot to hold them over until next spring, when you can plant them in a permanent home to enjoy for another season. Fall bloomers are already stealing the show and, while they are colorful, it is largely due to their size. By the time many of these perennials bloom, they are so tall that they often need to be staked. Not to mention, some end up having unsightly “legs” from shedding lower leaves. 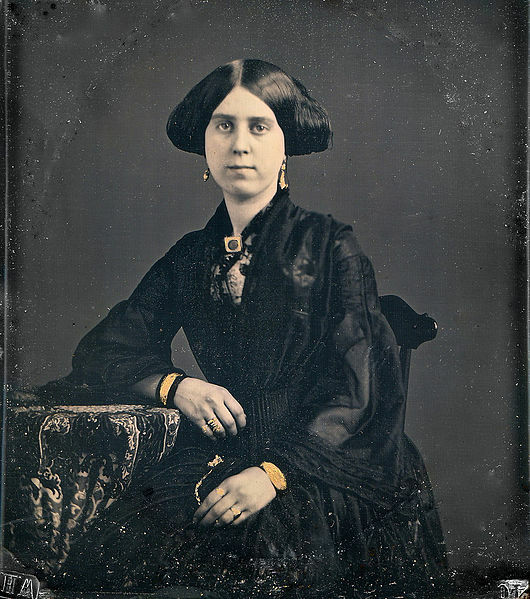 Ironweed, monkshood, and sneezeweed are all guilty of this unsightly phenomenon. Fortunately, there is a compact substitute for each of these bulky favorites. So, if you want to give your yard more color in autumn but don’t want it confined to the back of the border, try planting these “shorties” up front. Little Henry sweet coneflower (Rudbeckia subtomentosa ‘Little Henry’) is the petite progeny of Rudbeckia subtomentosa ‘Henry Eilers’. While 3 feet isn’t necessarily short for a perennial, it is definitely an improvement over its 5- to 6-foot-tall daddy. And like Henry Eilers sweet coneflower, each petal is rolled to create a quilled appearance around an obvious chocolate cone. Flowering can begin well before September, but the unique shape and yellow hue really stand out in the fall landscape. (The leaves are said to smell of vanilla, but if you’re like me, ragweed season will make it difficult to notice.) Don’t be afraid to stick these beauties in a vase. 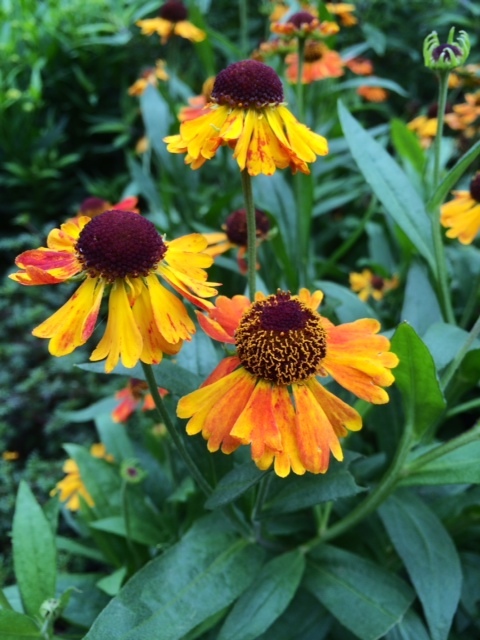 With Short and Sassy sneezeweed (Helenium autumnale ‘Short and Sassy’), the cultivar name says it all: the plant is 2 feet tall with an assertive orange-yellow color. 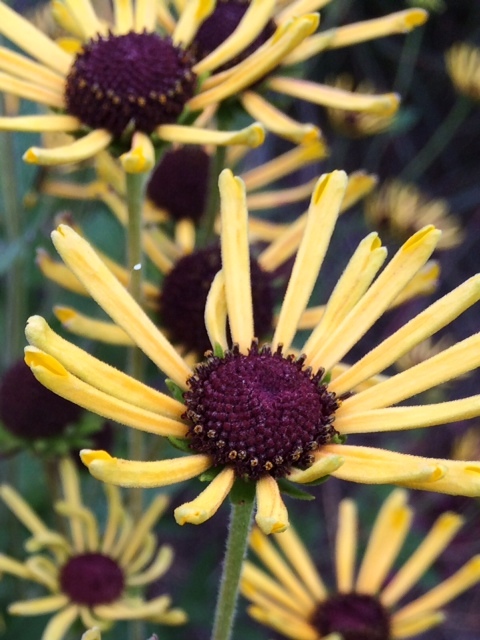 In the past, all sneezeweeds grew 5 feet tall and would push out flowers from the beginning of August until October. ‘Short and Sassy’, however, has a much longer bloom time. Since it doesn’t have to grow as big, this cultivar begins flowering in midsummer and doesn’t quit until it has fought its way through multiple frosts. Heleniums are plants perfect for rain gardens or any moist, sunny spot. Butterflies find them irresistible, too. Under favorable conditions, an autumn-flowering monkshood can reach 4 to 5 feet tall—not exactly a plant you can showcase next to a path. Nevertheless, Fischer’s monkshood (Aconitum fischeri) is a lesser-known species that is beginning to find its way into the market. 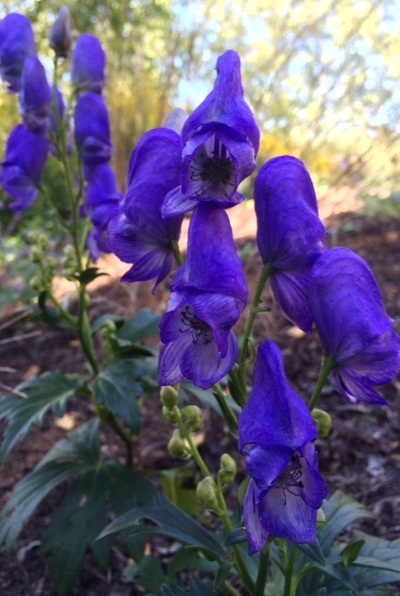 The 2-foot-tall plants sport the same size flowers as the commonly seen Aconitum carmichaelii and its hybrids. The showy blue flowers are perfect for adding fall color to a woodland garden, but are just as nice in a sunny border. Monkshoods are poisonous, so hide the children! The reddish-purple color found in ironweed flowers is one of kind. The problem with these natives is that most of them get gigantic, usually around 8 feet tall. Fortunately, you can enjoy that stunning hue on a much more compact plant. 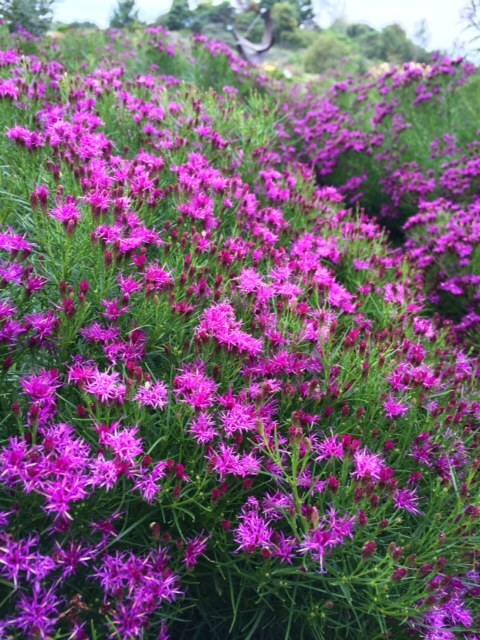 Vernonia lettermanii is a 2- to 3-foot-tall species that naturally occurs in Oklahoma and Arkansas. 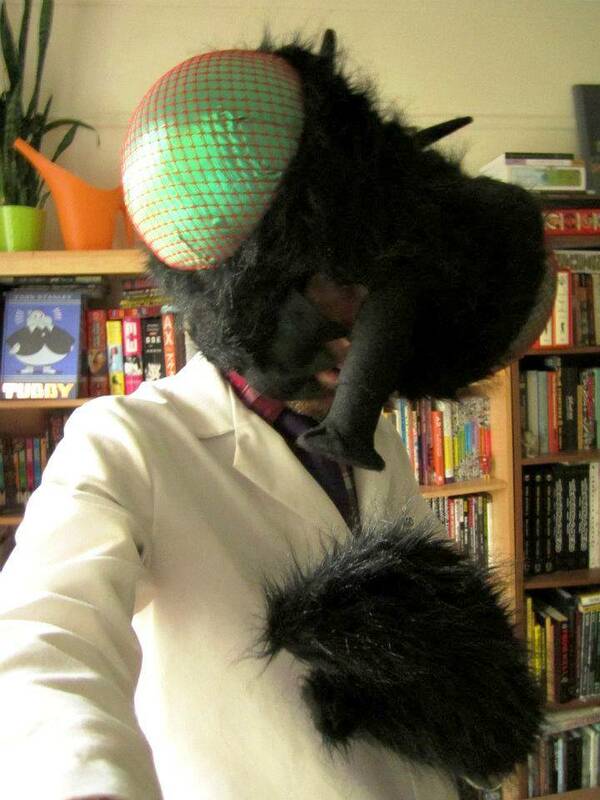 Allan Armitage, Ph.D., selected the best form of this species from his trials and called it ‘Iron Butterfly’. The foliage and form are similar to Amsonia hubrichtii, but without the fall color. This shorty is tolerant of droughty soils or brief flooding, but it requires lots of sun. It’s also a butterfly magnet! While I would rather see pink in the spring, I do love the poppylike feel of windflowers. They are also known as Japanese anemones and are sometimes listed under the name Anemone hupehensis. The Pretty Lady Series features crosses that stay 16 inches tall, as opposed to unwieldy 3- to 4-foot-high plants. They also have the same 2-inch flowers you would find on other Japanese anemone hybrids. 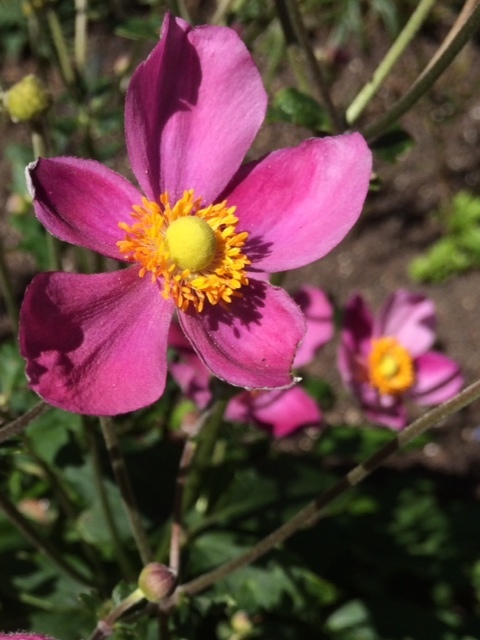 Pictured here is a dark pink variety called Pretty Lady Susan windflower (Anemone x hybrida ‘Pretty Lady Susan’, but the series also includes a double-flowered, a bicolored, and a white-blooming form. Of course, I can’t wait to get my hands on Pretty Lady Maria windflower—the non-pink one.